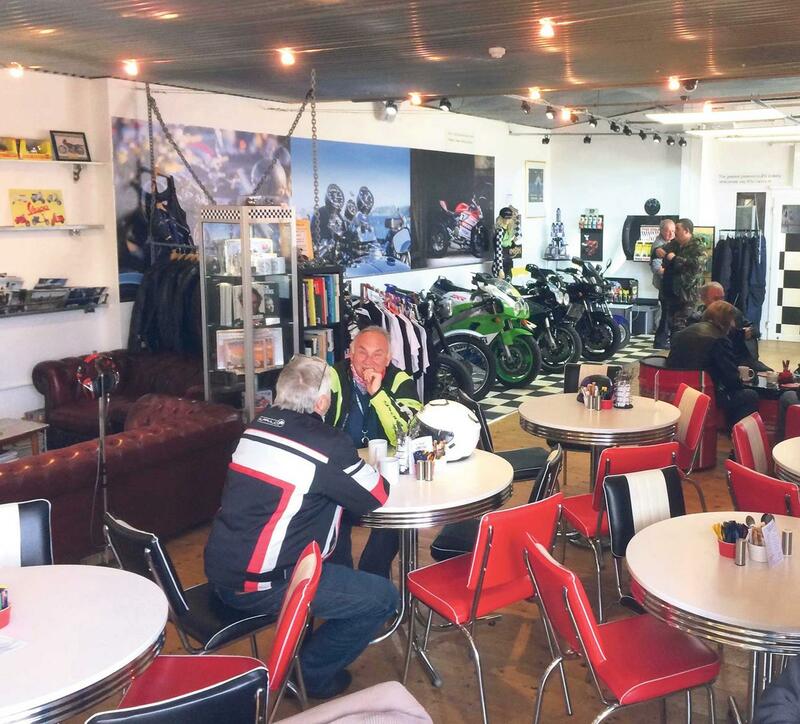 The Chequered Flag Café opened its doors just 18 months ago and in the short time since has grown to be a hub for Cornwall’s biking community. Located on the A38 between Plymouth and Liskeard, this ‘Ace of the South West’ is easily accessible from both directions and is a must stop for anyone exploring this part of the country. 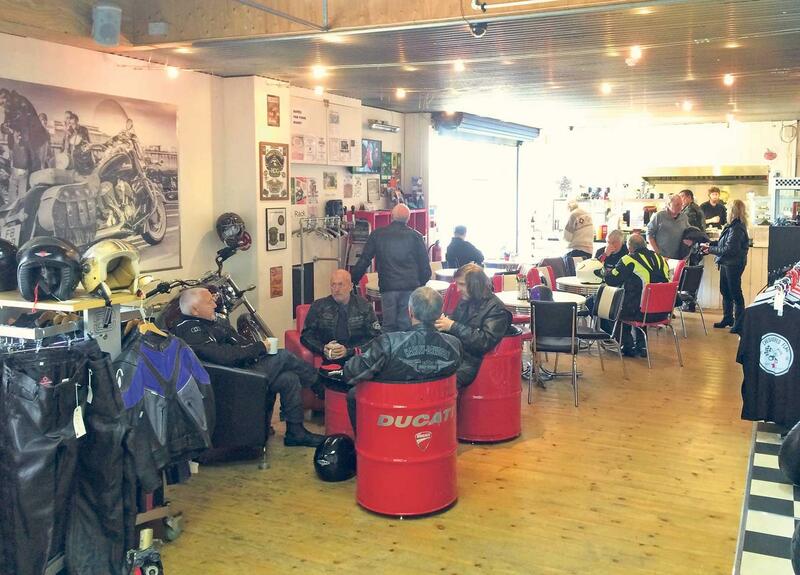 For owners Robin and Karen Partington it’s all about the people; by finding out what bikers want they’ve created a unique destination that is so much more than a café. Beyond the Tourer, Cruiser or Mini Moto breakfasts (depending on your appetite) of the largely dairy and gluten free menu, there’s a library stacked with all manner of bike-related titles plus a TV and GoPro player for rider training groups to carry out post ride debriefs. The attention to detail is something to behold, but what really makes Chequered Flag stand out is the DIY community workshop. A slot costs just £20 an hour, which covers use of the ramp, a full range of tools and, should it be required, Robin’s invaluable engineering experience. Training is available for those who want to learn the basics, such as checking oil, adjusting chains or bleeding brakes and if you break down or are have the need for fettling on the forecourt then tools, tie wraps and tape are available for use free of charge – just be sure to pop in to the café for some coffee and cake when you’re good to go. The self- service bike wash is soon to be equipped with its own ramp which will prove a godsend for anyone with dodgy knees, a bad back or who simply don’t enjoy grovelling on the floor. Women riders are especially welcome and encouraged to engage via specific maintenance courses and a dedicated clothing section; there’s even a seam- stress on the team to ensure that kit purchased has the perfect fit. 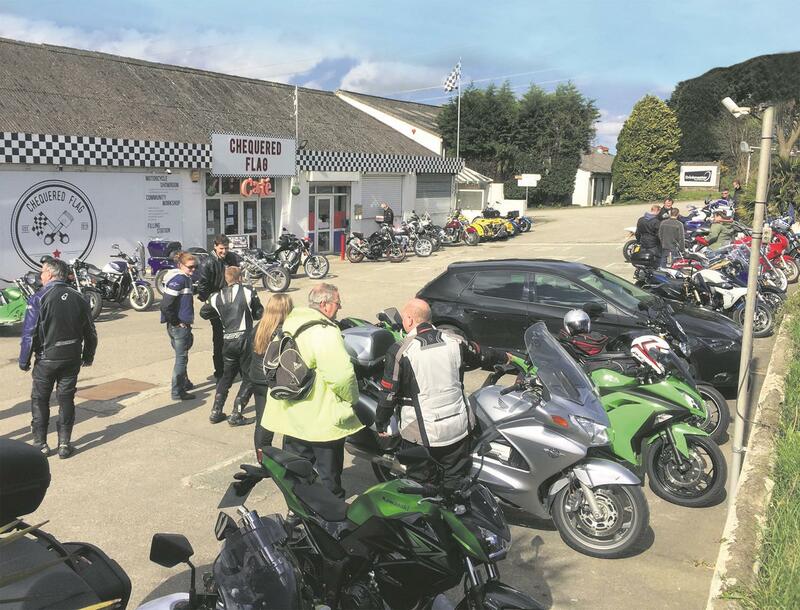 Bike night is every other Saturday from 7-10pm, but Chequered Flag hold a variety of events throughout the year and are always open to anyone who wants to hold one of their own. When is it? Every day except Monday, see the website for special events.